CLOSED!!!! No entries will be taken, decision will be announced shortly :) Stay tuned! Obige Karte habe ich heute nach dem Sketch gebastelt um euch ein wenig Inspiration zu bieten. Also laßt mich nicht hängen, packt eure Prismacolors, Marker, Cuttlebugs und Designpapier aus und zeigt mir was ihr könnt! Ich würde so gerne viele von euren tollen Werken hier auf meinem blog zeigen können!! On the right hand side there is the sketch I would like you to work with. I did the above little card today to give you an inspiration on what you can do with the sketch. So don't let me down!! Unpack your Prismacolors or markers, paper and cuttlebugs and start creating. 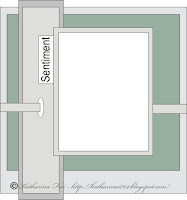 I would love to show many of your cards on my blog! Der Gewinner bekommt eine brandneue, unbenutzte Magnolia Tilda mit Keksblech (der absolute Verkaufsschlager) und einen Berg von Magnolia Stempelabdrücken. Na, klingt das nicht verlockend? I offer a brand new, unused Magnolia Tilda with cookie tray (the absolute fast seller) and a pile of stamped Magnolia images. Doesn't that sound good? Ich kann es schon gar nicht mehr erwarten eure ersten Werke zu sehen! Ich wünsche euch viel Spaß beim Basteln! I can't wait to see your creations!!!! Have a great time crafting! hmmm.. schade ich habe die Tilda schon, deshalb werde ich nicht mitspielen. Eine wundervolle Karte und ein toller Sketch! Ich hoffe, ich finde die Zeit, den Sketch umzusetzen. Aber da es mir wie Claudia geht, werde auch ich auf die Verlosung wieder verzichten. For such a wonderful candy, I will surely play! I'm off to make a card!! Also Dei Werk ist der Wahnsinn. Wunderwunderschön. Ich finde den Sketch auch wieder klasse. Den werde ich sicher nachwerkeln, aber auch bei der Verlosung nicht mitmachen, denn diese Tilda nenne ich auch mein Eigen :) Trotzdem eine tolle Aktion und Glückwunsch zu den ersten 10.000. Da kommen sicher noch viele viele mehr. Congrats on the hits!! whoohoo! 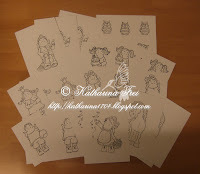 I adore the sketch, and will definately start creating real soon!! Your card is gorgeous Katharina! 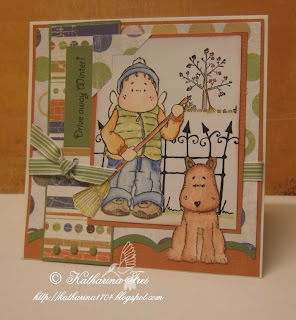 Hi Katharina - I've just done my card and it's on my blog! Congrats with your 10.000 hits Katharina! You make wonderful cards and I will creating a card with your LO. I'll also put your link on my blog, if that's ok? Oh I'm not 'anonym' ... sorry again!! Deine Werke sind alle wunderschön. Heute habe ich mich mal an deinem tollen Sketch versucht. es sind alle sehr schöne Karten und eine tolle Sketch! I'm flattered to be on your blog rol Katharina!! das ist eine wunderschöne Karte. Ich werde mal mein Glück versuchen und eine Karte nach Deinem Sketch basteln. Bis jetzt habe ich noch keine Magnolia-Stempel. Bin auf dem Gebiet noch ein Anfänger. this is a great sketch and I have made a card with it. you've got fabulous entries...got mine done too..
da sind ja schon wunderschöne Karten gebastelt worden. Bin schon gespannt welche Karte gewinnen wird. Glückwunsch .. die 10000 sind mittlerweile erreicht! It wasn't an easy challenge, because I always want to make cards on my own way ... LOL!! this is a fabulous sketch Katharina, it was so easy to use and looks amazing, I love it and will use it many times I am sure! Thanks so much for a fab challenge! What a great sketch, I hope I can make a card with it. Herzlichen Glückwunsch zu so vielen besuchern!!! Und danke für den tollen Sketch, mir hat es gestern abend sehr viel Spass gemacht, danach zu arbeiten. Congratulations on a fabulous blog its no wonder you've had so many hits. How could I resist a sketch. Wow lovely homepage i stumbled into here. No wonder you have many hits. I collect "hits" too ( like you a country counter), hope you hit mee too ! Congratulations with your many many visitors! Love to have that too! LOL! Congrats on all the hits! !..But it is no wonder..cause your blog and Creations are Fabulous!! Hello, I like your challenge (and the candy) a lot. 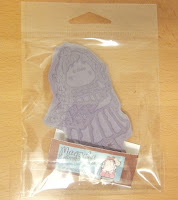 You can find my card on my blog. Used this sketch for this weeks CCT challenge, thanks for sharing, would love to know what you think.